Paddy started his PhD at the IViR in September 2018. His research focuses content recommendation algorithms and the governance of media pluralism. His other reseach interests are intermediary liability and net neutrality law. The central question in Paddy's research is how social media platforms can be made publicly accountable for their impact on media pluralism. Social media recommendation algorithms, such as YouTube's Autoplay and Facebook's Newsfeed, can have profound influences on media ecosystems. However, their precise effects are opaque to outsiders. For instance, it remains unclear whether algorithmic recommender systems contribute to so-called 'filter bubbles' and 'echo chambers' -- or whether they affect media pluralism in other ways. Paddy studies how EU law responds to these new challenges, and explore policy tools that can enable transparant en democratic governance of these algorithmic systems. This research is part of the interdisciplinary project "Personalized Communication - A Joint Communication and Information Law Initiative", supervised by prof. Natali Helberger and prof. Claes de Vreese. In this context, Paddy will collaborate with communication scientists to understand how social meida algorithms affect media consumption. Paddy is also a Junior Affiliate Scholar at Stanford University's Center for Internet and Society. Before starting his PhD, Paddy visited the United States for two years as a Fulbright Scholar. In 2016-2017, Paddy completed a master's degree (LL.M.) in media and telecommunications law at Harvard Law School. At Harvard, Paddy authored a a report on municipal fiber networks, and interned at the Berkman Klein Center for Internet and Society. 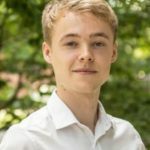 In 2016-2017, Paddy worked as a research fellow at Stanford University's Center for Internet and Society, where he studied recent developments in US and EU net neutrality law. Paddy also holds a bachelor's in European and Dutch law from Maastricht University, and a master's in Information Law (Informatierecht) from the University of Amsterdam. Additionally, Paddy has worked as a rapporteur for Council of Europe conferences; as a campaigner for the European net neutrality coalition SaveTheInternet.eu; and as an intern for the non-profit organization European Digital Rights (EDRi) and the law offices of Brinkhof and Allen & Overy.